The aim of the present report is to provide a comparative assessment of commonly used pelagic sampling methods. We do this by undertaking a qualitative, yet comprehensive, review of the published literature to identify their potential advantages, limitations, and their relevance to monitoring efforts. A ‘silver-bullet’ approach to pelagic monitoring likely does not exist, nor is necessarily feasible. 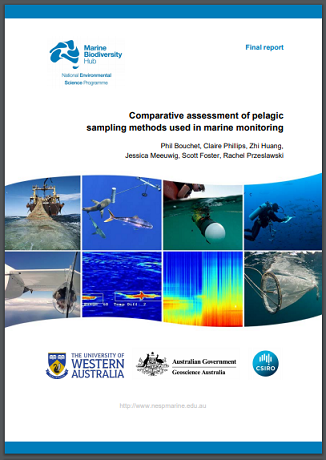 Instead, this comparative assessment provides a blueprint for guiding sampling activities in the context of pelagic monitoring efforts. Such information is essential to promoting transparency, repeatability, and standardisation across studies and institutions, so that method selection aligns with study objectives, with a clear understanding of benefits and limitations. Ultimately, robust survey designs and standard operating procedures are key factors underlying data comparability over time and space.